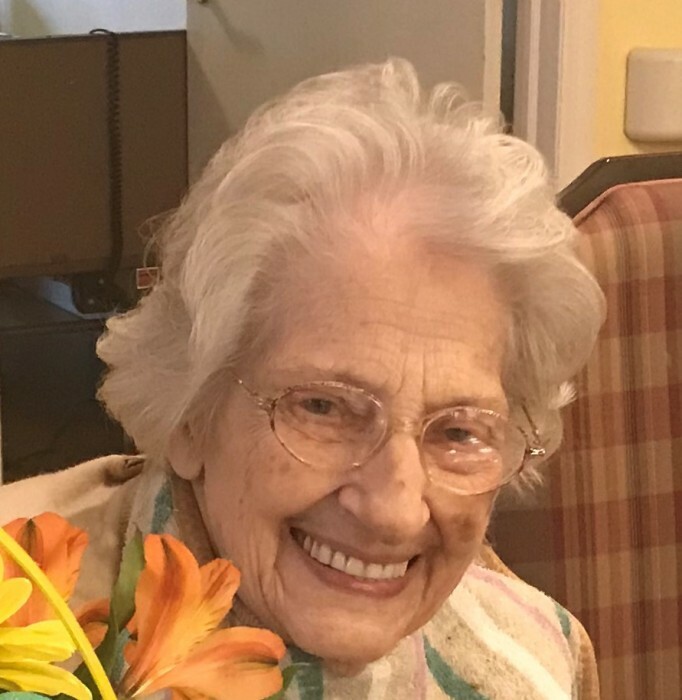 Obituary for Virginia (Hall) Callahan | Harman Funeral Homes & Crematory Inc.
Virginia Callahan, 95, formerly of Conyngham passed away Wednesday afternoon at Fritzingertown Senior Living Community. Born in Glenburn, PA, May 12, 1923, she was the daughter of the late Walter A. and Anna (Anderson) Hall and has resided at Frizingertown for the past 3 years after moving from Conyngham where she had lived for 40 years. Virginia worked as a secretary in retail. She was a member of Christ Lutheran Church, Conyngham. She was an avid Lionette, she enjoyed singing in the choir, teaching Sunday school and loved to read. She was preceded in death, in addition to her parents, by her loving husband John, to whom she was married to for 70 years before his passing on April 21, 2015; a brother, Norman Hall, and a sister Emma Wingate. Surviving are three children, Susan Bifano and her husband Fran, Newark, DE; John Callahan and his wife Lynette, Dalton; and Sandra Rochon and her husband Dan, Mt. Top. ; 8 grandchildren; 5 great-grandchildren and several nieces and nephews also survive. Her funeral will be held Saturday at 11:30 am in Christ Evangelical Lutheran Church, 467 S Main St, Conyngham, PA 18219. Family and friends are invited to call at the church from 10:00 am until the time of the service. Burial will follow in Conyngham Union Cemetery. Memorial donations in Virginia’s name may be made to Christ Evangelical Lutheran Church, PO Box 494, Conyngham, PA 18219 or to Hospice of the Sacred Heart, 600 Baltimore Drive, Wilkes-Barre, PA 18702. The family would like to express their deep appreciation to the staff at Fritzingertown for their excellent care of their mother. Online condolences may be entered and more information is available at www.harmanfuneral.com.